Here’s how I used 2 jars and 300 paper clips to get out of a slump and keep me moving ever closer to my goals. There was once a salesperson who was a no-name with his company. He became the number 1 earner at the company in a short period of time. When asked how he did it, he said he simply started every day with 120 paper clips in a jar. He moved one paper clip to the other jar after every cold call and he didn’t stop until the jar was empty. After reading about this strategy, I decided to try it. I was constantly getting sidetracked with other opportunities to make money doing side jobs. I had money, but I wasn’t making it the way I wanted to. My ultimate goal was to build a residual income from home using Internet marketing so I would be free to do what I want, when I want to do it, not pick up side gigs around town. I went to Target and bought a box of 350 paper clips and 2 small jars. A few days after, I shot this video. I would move 1 paper clip from one jar to the other for each blog post that I researched, wrote, and promoted according to my Blog Post Check List. I counted out 300 paper clips from the 350. Why 300 instead of using 120 like the salesman? 1. I like the movie 300. The Greeks had 300 highly trained soldiers going up against millions of Persians. I want 300 (minimum) well-written, highly search-engine optimized blog posts making me money against the millions of pages of competition that are out there. 2. One thing that I for got to mention in the video is that there’s another hidden benefit to using hundreds of paper clips. Consistency is key when it comes to Internet marketing, especially when SEO is concerned. Setting my goal to 300 ensures I stay on the path even when I’m feeling discouraged, which all marketers will feel at one point or another. 3. It forms a great habit. They say it takes 21 days of repetition to form a habit. It’ll probably take at least a year to write all those articles with the check list’s specifications. Next to healthy habits, money-making habits are some of the best habits to develop. By the time you go through 300 paperclips, you’ll have formed a money-making habit that’ll never be broken. Under no circumstances are you allowed to quit before the jar is empty! This strategy has been working wonders for me. I started out slow. The jars and paper clips were just sitting there for a few days taunting me and collecting dust. Once I saw those 12 paperclips in the jar, it lit a fire in me. I wanted to move the next one and the next one after that. At this point, I’m even thinking about adding a 24th step to the check list. I want to make sure I don’t forget to watch the training videos because the paper clip strategy is working so well that I’ve found myself lagging behind in keeping up with the new training every now and then because my mind is so focused on completing the check list. Keeping up with training is important too. The total was about $8 with tax and it’s a tax deductible business expense. There are 23 action items total. For every blog post, start at the beginning and make sure you complete all action items (it’s okay to skip the action items that don’t have to be on all blog posts). For each blog post that you complete according to the check lists specifications, move 1 paper clip to the other jar. Don’t stop until the first jar is empty. I actually found out about this strategy when I was reading an article that was written by a fitness trainer. He was suggesting we apply it to fitness, which I did, but I was more eager to apply it to making money. This is a method that can and will help you with any goal that you’ve set for yourself. The key is to determine the actions that are crucial for getting you closer to your goal and apply them to that. For example, the salesman wanted to make sales so he moved a paper clip every time he made a call regardless of the outcome. He knew his skills would develop as he interacted with prospects, he would get better, and soon the sales would come. When I decided to do it, I was originally going to apply it to income-producing activities only. Activities like posting to social media, emailing my list, and getting web pages submitted to Google for indexing. Then I realized my main goal is to excel in getting my sites to rank well on search engines so I could always have a steady supply of new leads coming in instead of chasing my friends and family around, not just make sales. The keys to making that happen were not just doing IPA. They were to make every post align with Google’s specifications and be consistent doing it. That’s why I chose to include the whole 23-step process instead of just income-producing activities. If my goal was just to make some sales here and there, yes, IPA would be the only thing moving paper clips from one jar to the next. What mountains are you trying to climb and how can the paperclip strategy help you get there? What actions are you going to link to the paperclips that will ultimately help you reach your goal? 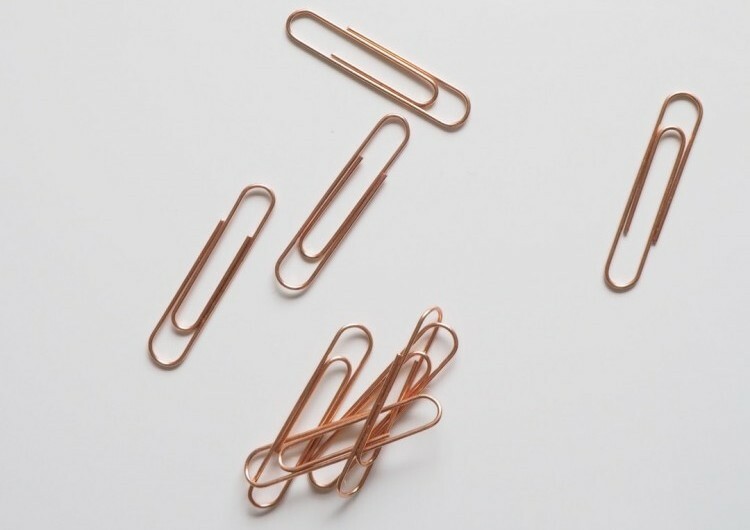 Tricks like the paper clip strategy work because they promote action and consistency. Those are two vital things for success. Thanks for the comment Aaron. Glad you’re doing so well. Thanks Sergio. Another benefit that I’ve just noticed is that you start associating paperclips with productivity. I can’t look at paperclips without thinking about my blog. lol. It works great. Awesome tip to form habits I need this right now since sometimes I get too lazy to write. this is very good trick You use. Have given Me great ideas and a way to not be too lazy with My website. You are right consistency is what creates a success.